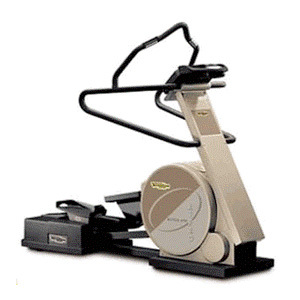 This elliptical is sure to become the most sought after piece of fitness equipment in fitness clubs, purely because it satisfies low impact training while offering much more. A wide choice of different exercise modes is easily selected from several courses stored in its programming memory. The console features easy to use push buttons for selecting the speed and more. In addition it also features the exclusive CPR System to ensure that the training level is continually adapted to the pre-set heart rate values. With Rotex, you can have both forward and backward motion with the reduction of articular stress. Utilising all muscle groups below the waist, it ensures excellent cardiovascular exercise for users of any training levels. Even at the lowest levels of resistance, the running motion is comfortable for long-term training.